Revolution returns Wednesday February 26th after The Olympics! Arrow 2x13 "Heir to the Demon" - As Laurel (Katie Cassidy) continues to unravel, Oliver (Stephen Amell) and Lance (Paul Blackthorne) try to convince Sara (guest star Caity Lotz) to stay in Starling City and finally reunite with Laurel and Dinah (guest star Alex Kingston). However, Sara's fellow League of Assassins member, Nyssa (guest star Katrina Law, "Spartacus"), comes to bring Sara back to the fold, but when Sara refuses, Nyssa kidnaps Dinah. Realizing she's putting her family in danger by staying in town, Sara considers re-joining the league. Wendey Stanzler directed the episode written by Jake Coburn (#213). Supernatural 9x13 "The Purge" - Sam (Jared Padalecki) and Dean (Jensen Ackles) investigate recent murders where the victims were hundreds of pounds lighter after their deaths. Suspecting witches, the two go undercover at a fancy day spa that all of the victims had attended for weight loss. While Sam is hired as a fitness instructor, Dean takes kitchen duty. After Dean swipes some tainted food and passes out, the guys realize someone is drugging the guests and literally sucking all of the fat out of them until they die. Phil Sgriccia directed the episode written by Eric Charmelo & Nicole Snyder (912). Mum finally gets the family together at the table for a meal...but not for long. Anastacia, the dog, picks this year's winner of the Super Bowl. Banshee 2x04 "Bloodlines" - Following a lead from Brock (Matt Servitto), Lucas visits a strict Amish schoolteacher who might have insights into the murder of Kinaho tribe member Lana Cleary and the disappearance of Solomon Bowman (Gunnar Carrigan). Emmett (Demetrius Grosse) and Siobhan find transferring a captive Chayton more difficult than expected. Rebecca copes with the pain of her parents' rejection. Proctor offers Alex a peace offering, and Nola (Odette Annable) delivers a final blow for justice. 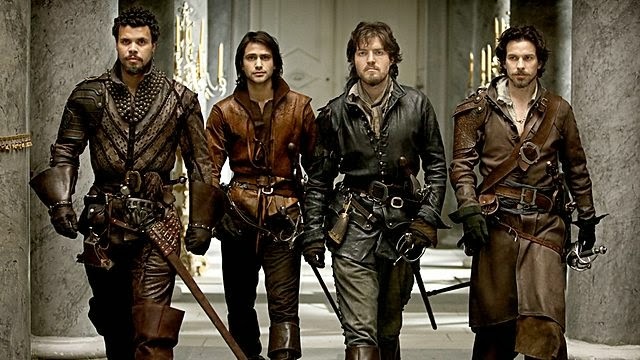 The Musketeers must restore the King’s reputation and seek justice for one of their own. Bones 9x14 "The Master in the Slop" - When the Jeffersonian team discovers the body of a renowned but disliked chess master amidst pig slop, Sweets surprises the team with his chess skills and goes undercover in the world of professional chess to find the killer. Cam is being recognized in the 'Outstanding Woman of Science' issue of a noted science publication but is hesitant to participate since she does not want to offend Brennan who knows she should be the one to be honored. Meanwhile, much to Brennan's annoyance, Dr. Douglas Filmore (guest star Scott Lowell), the always sunny Canadian forensic podiatrist fills in as a lab intern in the all-new 'The Master in the Slop' episode of BONES airing Friday, January 24th on FOX. Dracula 1x10 "Let There Be Light" (Season Finale) - A public demonstration of Grayson's technology moves forward with catastrophic consequences. Lucy joins the ranks of the undead, Van Helsing exacts a terrible revenge upon Mr. Browning and Lady Jane and her huntsmen attempt to eradicate London of all vampires, culminating with a confrontation and battle-royal between her and Grayson. Finally, Mina discovers the secret of Grayson's obsessive love. Sleepy Hollow 1x12 "Indispensable Man & 1x13 "Bad Blood" (Season Finale) - Ichabod and Abbie discover a dark secret buried within the pages of George Washington's Bible and unearth the shocking true nature of the founding father's death. Meanwhile, Capt. Irving makes a near-impossible decision for the sake of his beloved family that drastically changes his future. Then, the battle between good and evil comes to an explosive head. Sacrifices must be made, worlds collide, loyalties are tested and the town of SLEEPY HOLLOW will never be the same in the all-new special two-hour 'The Indispensable Man/Bad Blood' Season Finale episode of SLEEPY HOLLOW airing Monday, January 20th on FOX. 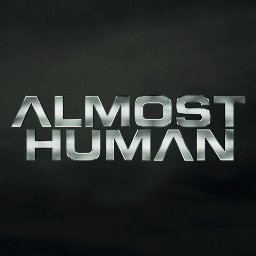 Gina Carano guest stars in the next episode of Almost Human, airing in three weeks on FOX. Jamestown Revival performs a track from their new album The California EP. Castle 6x12 "Deep Cover" - The murder of a young video store clerk takes a strange turn when the team discovers his past history as a high-level hacker. 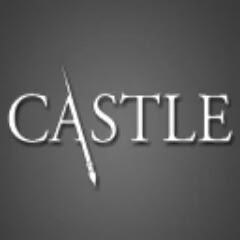 But it's nothing compared to the shock Castle receives when their investigation leads them straight to his father, Jackson Hunt (guest star James Brolin), on "Castle," Monday, January 13th on ABC. Almost Human 1x08 "You Are Here" - Det. Kennex and Dorian investigate a crime scene involving a self-guided bullet that can track, target and kill specific people at any moment. Meanwhile, Maldonado revisits the deadly ambush that almost killed Kennex in the all-new 'You Are Here' episode of ALMOST HUMAN airing Monday, January 13th on FOX. 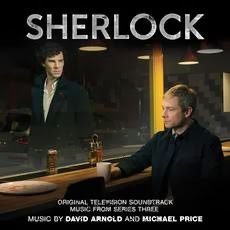 Sherlock Holmes crosses swords with Charles Augustus Magnussen, the king of blackmail. 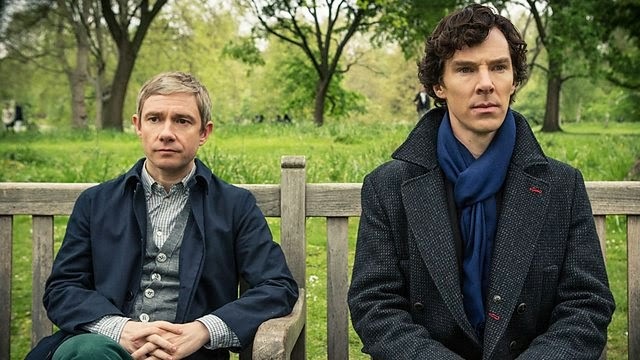 Cast and crew on Sherlock's best man speech, how things will change for Sherlock and John and Martin Freeman and Amanda Abbington on working together. 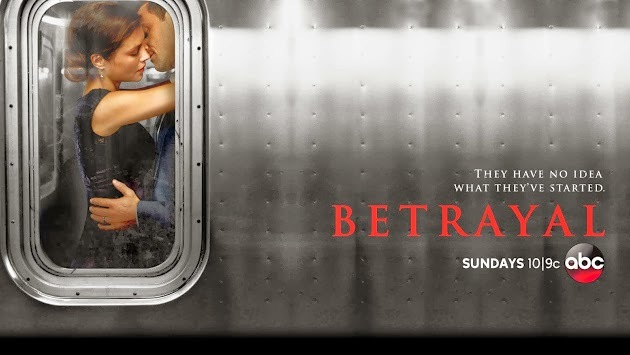 Betrayal 1x12 "Sharper Than a Serpent's Tooth" - While Jack and Elaine struggle to navigate this turbulent time with their kids, Sara and Drew may be falling back into old habits. Meanwhile, Jack and Drew decide to put their differences aside and work together in the case against Karsten, revealing hidden truths, on Betrayal," Sunday, January 12th on ABC. 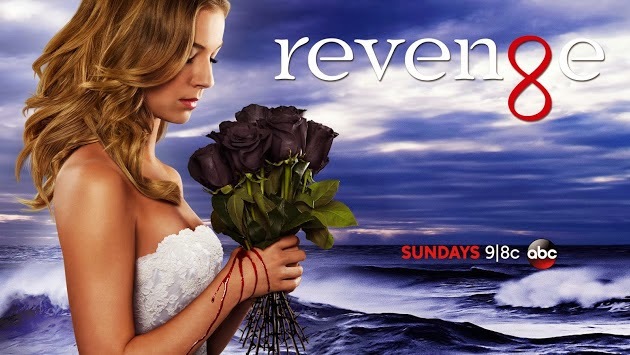 Revenge 3x12 "Endurance" - Physically and mentally broken, Emily finds herself more lost than ever while her enemies circle closer. 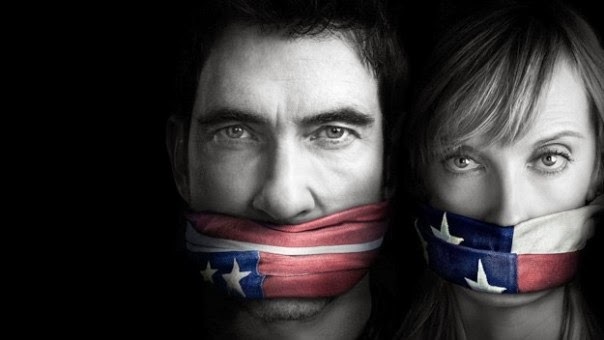 But one game changing revelation will ignite a new path of destruction, on "Revenge," Sunday, January 12th on ABC. TV: Pretty Little Liars - BetrAyers. StAlkers. LiArs. Don't miss the Winter Premiere Tuesday, January 7 at 8/7c on ABC Family. A stand up performance featuring the US actor and comedian. 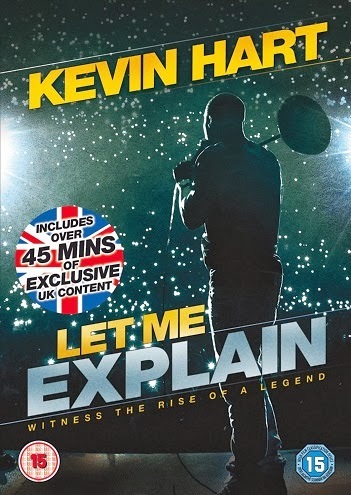 Recorded in front of a sold-out crowd at New York's Madison Square Gardens, the film also follows Hart as he crosses the country and continents on his 2012 'Let Me Explain' tour.